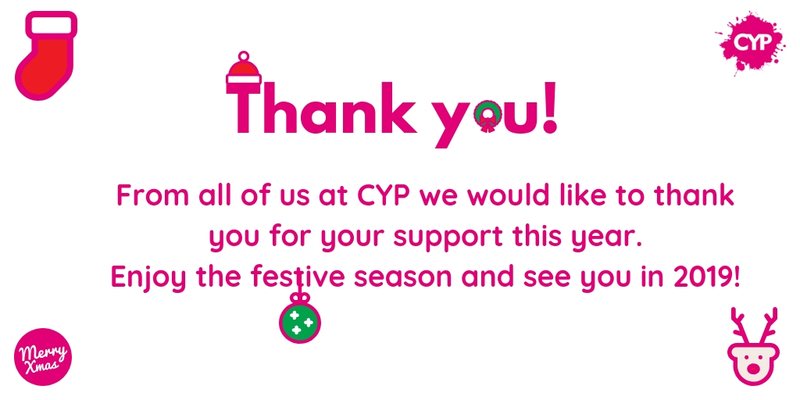 Whether you’re a volunteer, staff member, funder, delivery partner or young person we would like to thank you for your support throughout 2018 and we are very excited to see what happens at CYP in 2019. 2018 has been a very busy year for us. From film projects to football, you can find out what we’ve been up to this year by downloading our 2018 review. Please note that CYP will be closed from Friday 21st December until Monday 7th January so there will be no sessions during this time and all staff are on annual leave. Next: Next post: New year, new opportunities!